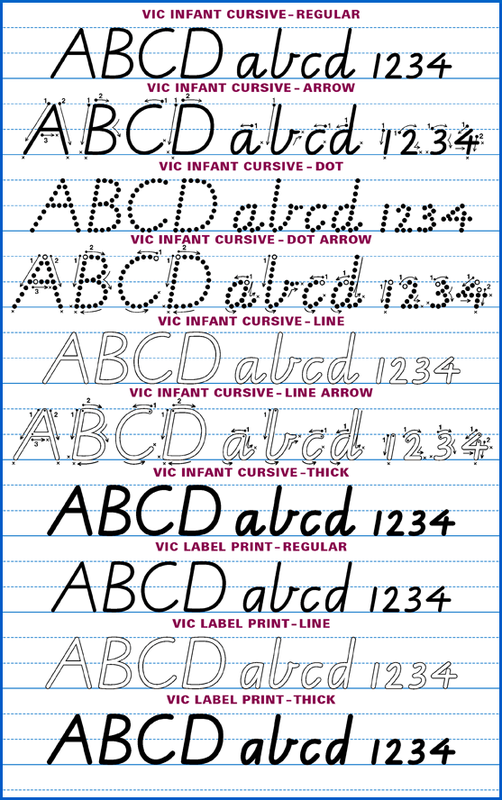 11 OpenType fonts - VIC Infant Cursive (Regular, Thick, Dot, Dot Arrow, Arrow, Line, Line Arrow), VIC Label Print (Regular, Thick, Line) and VIC Modern Cursive. 22-page Beginner Manual, 27-page Cursive Manual and 11-page Alphabet Templates (PDFs). 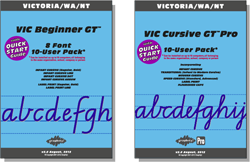 The Regular and Thick Infant Cursive fonts have extended language support (including Australian Aboriginal GT and Phonetic Latin GT software keyboards for Mac & Windows) and expanded maths support (including automatic fractions). Can be set to display with or without horizontal guidelines. Delivered by download. 10-computer licence. Win/Mac compatible. 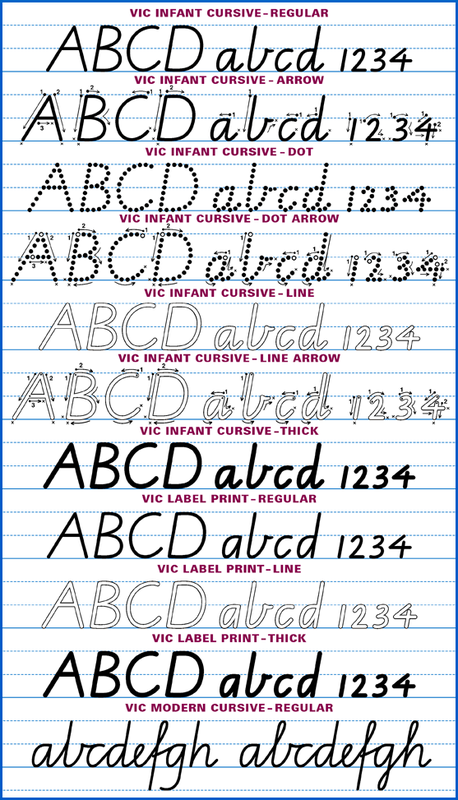 10 OpenType fonts - VIC Infant Cursive (Regular, Thick, Dot, Dot Arrow, Arrow, Line, Line Arrow) and VIC Label Print (Regular, Thick, Line), 22-page Beginner Manual plus 11-page Alphabet Templates (PDFs). The Regular and Thick Infant Cursive fonts have extended language support (including Australian Aboriginal GT and Phonetic Latin GT software keyboards for Mac & Windows) and expanded maths support (including automatic fractions). Can be set to display with or without horizontal guidelines. 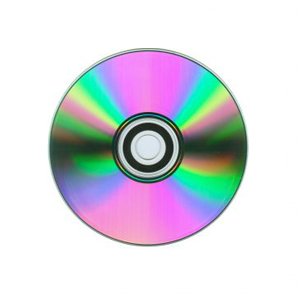 Delivered by download. 10-computer licence. Win/Mac compatible. 1 OpenType font plus 27-page Cursive Manual (PDF). 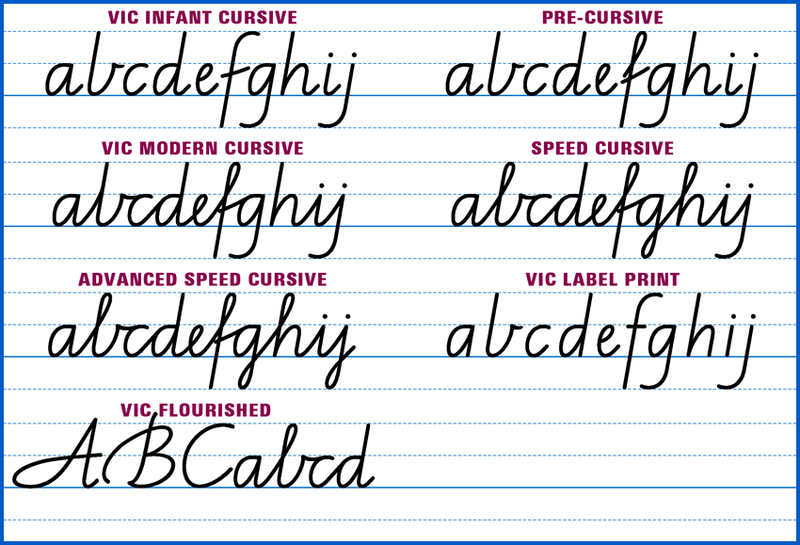 An omnibus font combining VIC Infant Cursive, Label Print, VIC Modern Cursive and Speed Cursive all in the one font. Also includes optional VIC Flourished Caps. 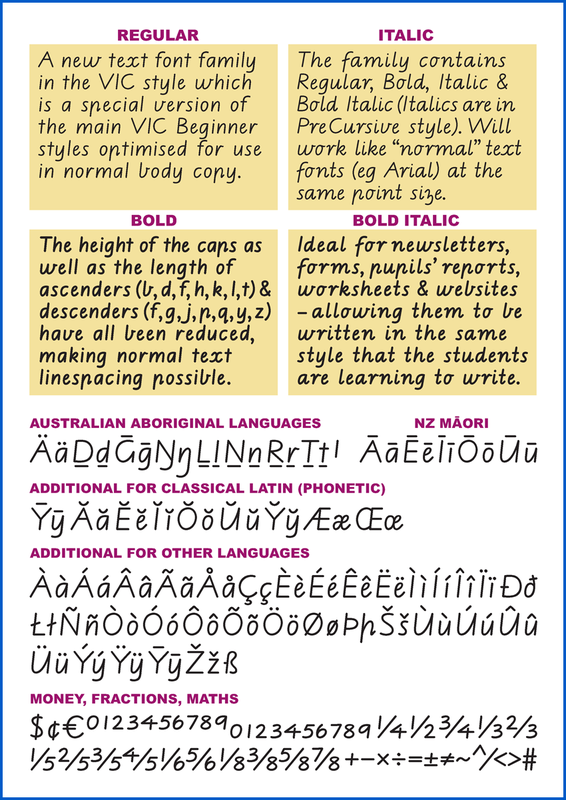 All joining levels and lettershape variants in the VIC syllabus can be selected. Slightly lighter weight than the Beginner Pack fonts. 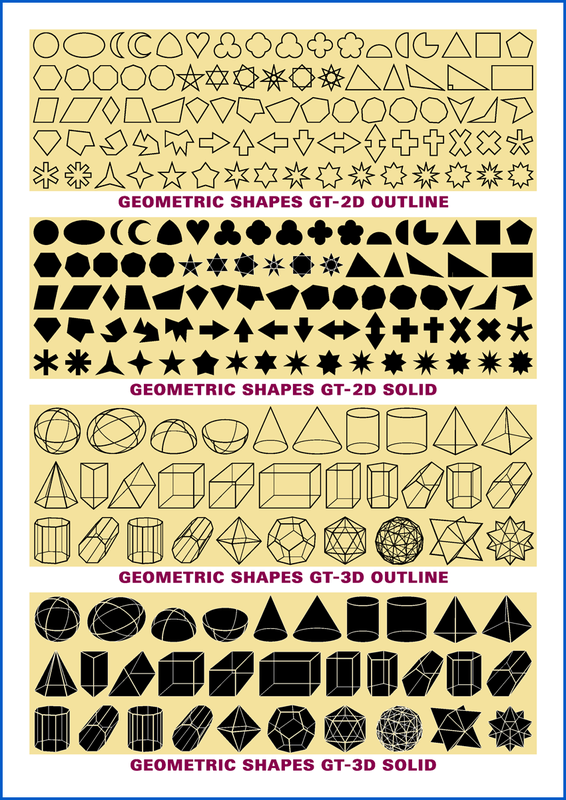 Note that there are no Dotted, Outlined, Arrow or Thick fonts in this pack. Can be set to display with or without horizontal guidelines. Delivered by download. 10-computer licence. Win/Mac compatible. 4-font OpenType family (Regular, Italic, Bold, Bold Italic) in the VIC style, optimised for use in text with normal linespacing. Multi-Language support - contains all special characters required for Australian Aboriginal, NZ Maori, Classical Latin (Phonetic) and many other commonly-taught languages which use the latin alphabet. Enhanced Maths support - including the ability to type "true" fractions automatically. Includes special custom Keyboard Layout software (Mac & Windows) for use with Australian Aboriginal and Phonetic Latin. Numbers are capital-height by default. Not available as individual fonts. Horizontal guidelines not included. Not intended or recommended for use in the actual teaching of handwriting in the initial & early stages. Delivered by download. 10-computer licence. Win/Mac compatible. 1 OpenType font plus 20-page Beginner Manual (PDF). With extended language support (including Australian Aboriginal GT and Phonetic Latin GT software keyboards for Mac & Windows) and expanded maths support (including automatic fractions). Can be set to display with or without horizontal guidelines. Delivered by download. 10-computer licence. Win/Mac compatible. 1 OpenType font plus 22-page Beginner Manual (PDF). Can be set to display with or without horizontal guidelines. Delivered by download. 10-computer licence. Win/Mac compatible. 1 OpenType font plus 20-page Beginner Manual (PDF). Can be set to display with or without horizontal guidelines. Delivered by download. 10-computer licence. 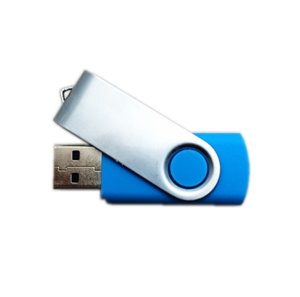 Win/Mac compatible.